Originally published under the title, "Why America Should Aim To Contain – Rather Than Destroy – ISIS." A small contingent of U.S.-trained rebels inserted into Syria last month was decimated by the Nusra Front. What to do about Syria? 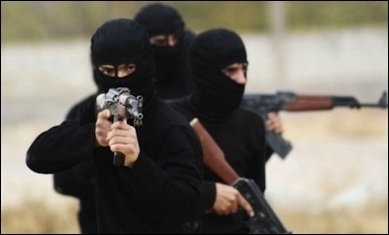 How to defeat the Islamic State? Think of all the op-eds and policy papers that aim to provide answers to these questions. But is there actually anything to them? What about the current U.S. approach? To begin with, one can readily agree that the U.S. train-and-equip program for Syrian rebels to fight ISIS has been misguided from the beginning. The notion that such a force can only take on ISIS and not the Assad regime has no credibility among the overwhelming majority of Syrian rebels, regardless of ideological orientation, as the fight against the two is seen as inherently intertwined. Little wonder then that the initial batch recently inserted into Syria had only 60 recruits. Further, U.S. policymakers' grasp of the ground situation appears to have been grossly out of touch with reality. They failed to anticipate a clash with Syria's al Qaeda-linked Nusra Front, which has also been targeted in American airstrikes. It is clear to any observer who has visited or tracks online the Azaz district into which the U.S.-trained rebels were inserted that the area had a notable Nusra Front presence that would suspect any American proxies. 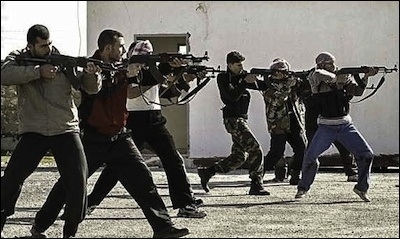 The U.S. train-and-equip program for Syrian rebels has been misguided. Meanwhile, U.S.-led coalition airstrikes, bound as they are in part by political considerations, have produced mixed results. They have been most effective in the north, in support of the Syrian Kurdish units -- known as the People's Protection Units, or YPG -- that have deprived ISIS of significant control of north Raqqa province and Hasakah, such that the YPG has also taken over many parts previously held by the Assad regime. U.S.-led coalition airstrikes have produced mixed results. On the other hand, understandable reluctance to launch airstrikes that can be seen as directly supporting the regime means that ISIS advances through the Homs desert have largely been unimpeded. ISIS's control of the heartlands of its territories in central and southeastern Syria remains largely unchallenged, and revenue streams have not been seriously hurt. Furthermore, hundreds of civilians have been killed by U.S.-led airstrikes, according to a recent report. The YPG, for all its successes, will only go so far in attempting to take territory from ISIS. The same goes for the expected establishment of a Turkish "safe zone" in the north Aleppo countryside that may clear ISIS out of the remaining northern border areas and has prompted the withdrawal of Nusra Front fighters. This expected "safe zone" is a small, strictly local initiative driven more by Turkey's desire to stop the YPG from linking up with its third canton of Afrin. Given the failure of current U.S. policy, the main alternative proposed is broader support for rebel groups -- either bringing the downfall of the regime or forcing a political settlement that can then bring about more effective local forces to take on ISIS. 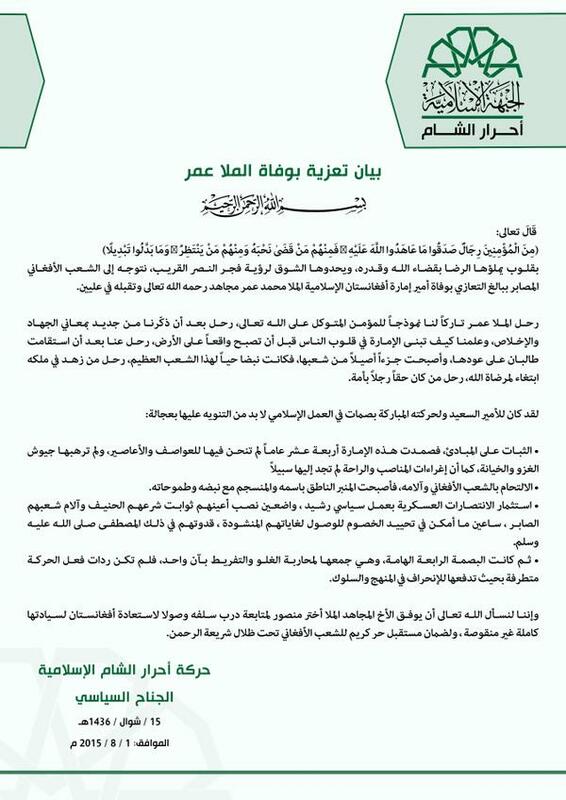 In this context, arguably the largest single rebel group -- Ahrar al-Sham -- has taken to Western media, calling for more engagement with the group from the West and the international community, while professing commitment to a "moderate" vision of Syria, including protection of minorities. Three weeks after penning a Washington Post op-ed appealing for Western engagement, Ahrar al-Sham called the late Taliban leader Mullah Omar an "example of a believer" who "reminded us of the true meanings of jihad and devotion." While the Ahrar al-Sham op-ed seems superficially impressive, it overlooks the most important issue of the group's ties to al Qaeda. Linked to this point is the subsequent inability or lack of will to oppose some of the more unsavory sides of the al Qaeda presence. For example, rhetoric of commitment to minorities cannot conceal the fact that Ahrar al-Sham has done nothing about the forced conversion to Sunni Islam of the Druze in Idlib at the hands of Nusra Front. Indeed, Ahrar al-Sham, like many other rebel groups, appears to pretend as though this has not happened at all. In reality, when one reads between the lines of the op-ed, it becomes clear that what Ahrar al-Sham is advocating is Sunni Arab majoritarianism with a sectarian model of politics that cannot be seen as conducive to stability in Syria, even post-Assad. Generally left out of the debate in this context is the problem of simultaneously empowering the rebels and the YPG, when the former tend to view the latter as working towards taqsim Souria (the "division of Syria"). Forming a unified force to fight ISIS would be difficult even with the Assad regime gone. One thinks of the headache of Kurdish-Arab territorial disputes in post-2003 Iraq: such qualms are and will be no less of a nightmare in a post-Assad Syria. Add to this intra-rebel rivalries with power, ideological disputes and likely continued fighting from pro-regime and ethnic minority militias, and it can be seen just how difficult forming any unified force to take on ISIS will be even with the regime gone. The chaos that has engulfed Libya in the post-Gaddafi era is instructive in this regard, as is the civil war and anarchy in Somalia of nearly a quarter century since the downfall of its dictatorial regime in 1991. Nor should one pretend that the way forward lies in broader engagement with the regime. The regime is seeing its own population increasingly fragmented among different militia factions and continues to lose peripheral territories to its rivals. It is unlikely to be able to unite the country under its rule again. Working with the regime and by extension its main ally Iran, can only be seen as a recipe for permanent warfare. The coalition should give up on pretensions to "destroy" ISIS and focus on containment. In other words, there are no viable solutions. There is generally little honesty about what it would actually take to rebuild Syria at this point. For many years if not decades, it would take a large international ground force in Syria, enforcing the disarmament of all militia actors and implementing a grand nation-building project embodied in a government seen as acceptable to all sides. Unsurprisingly, no willpower or consensus exists anywhere for such an initiative. Sadly, we are only "in the early stages of what will be a much longer war," as Rania Abouzeid put it. The Islamic State is here to stay for the long term, if not indefinitely, and the coalition should accordingly give up on pretensions to "degrade and destroy" it. Instead, the coalition should focus on containment, providing humanitarian aid for refugees and civilians and establishing a no-fly zone to stop indiscriminate killing of civilians and destruction of what remains of infrastructure in Syria. Any talk of restoring stability to Syria and defeating ISIS without realistic acknowledgment of what would be required is only an invitation to mission creep and unnecessary waste of lives and resources.